Whether you are planning to visit the Kitsap Peninsula region for the day, overnight or a vacation, the VKP website offers helpful resources to plan your trip. You'll find family- children- and pet-friendly lodging throughout the region as well as hotels with waterfront rooms and charming B&Bs. You'll also find information about transportation services and Things To Do all year-round. The Visit Kitsap Peninsula offices are located in downtown Silverdale and are open to the public 9 a.m. to 5 p.m. Monday-Friday and available online 24/7 to meet your visitor and event-planning needs. Click here for other visitor information services around the region. Click here for a Google map of Visitor Information locations around the region. Check traffic conditons on state highways at WSDOT Traffic Alerts and locally at Kitsap County Public Works Road Reports. The Kitsap Peninsula is the third most densely populated county in the state and offers visitors the opportunity to experience and enjoy a destination rich in diversity, history and culture. Click above to learn more. 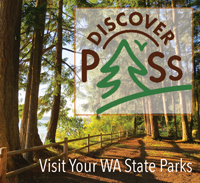 Our Kitsap Peninsula Visitors Guide and Outdoor Recreation & Bike Map offer information about local cities, communities and things to do. Click here to find locations and to view online. Find all of the fun ways to get around the area. Visit our Transportation page for details and use our Transportation Search to find services available on the Kitsap Peninsula. 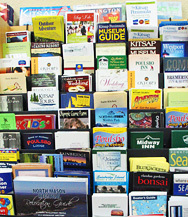 Our Visitor Services section provides information about local services you might need during your visit to the Kitsap Peninsula or if you are new or will be moving to the area. Visit our Military Life & Information Section for links specifically geared for military folks and their families.